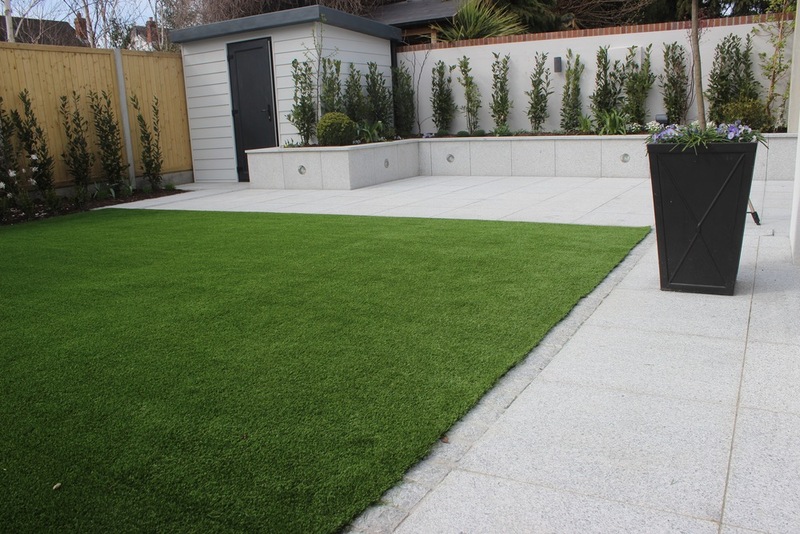 A client was renovating their property and asked us to landscape their back garden as part of the upgrade. 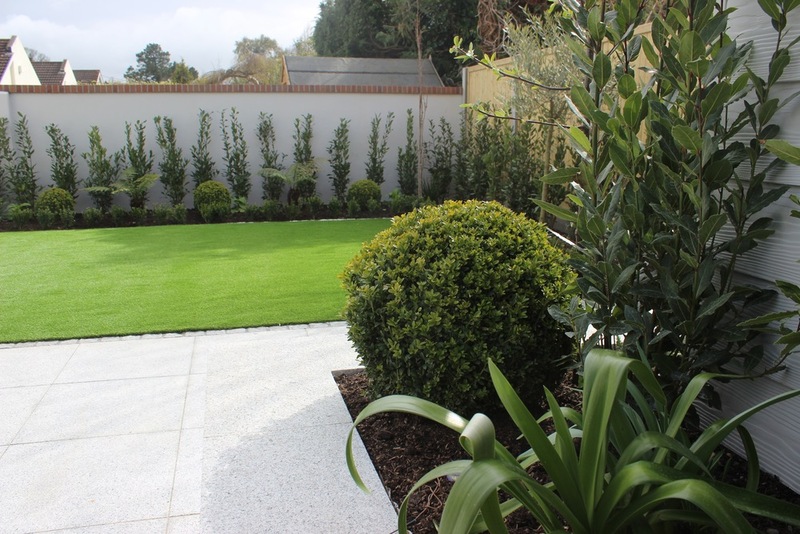 A Contemporary Garden Design was proposed to compliment house renovation with a matching dynamic renovation. 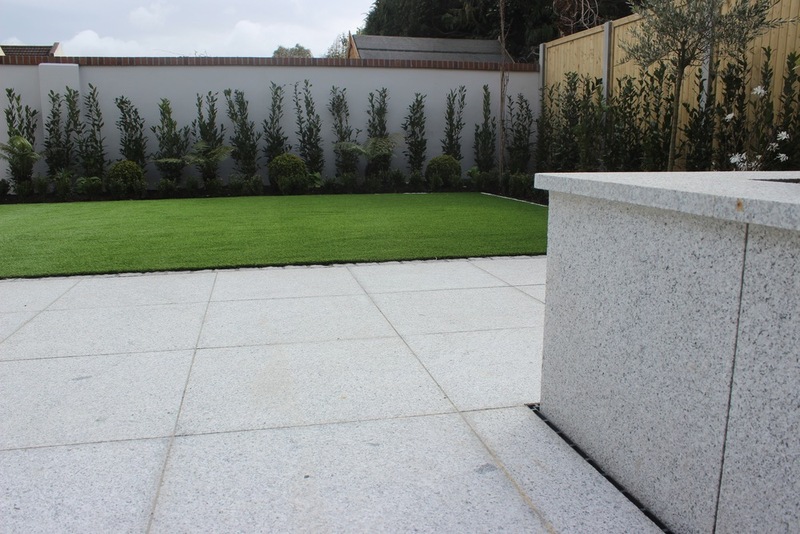 A Granite Patio leading to purpose made Garden Shed created the frame of garden. 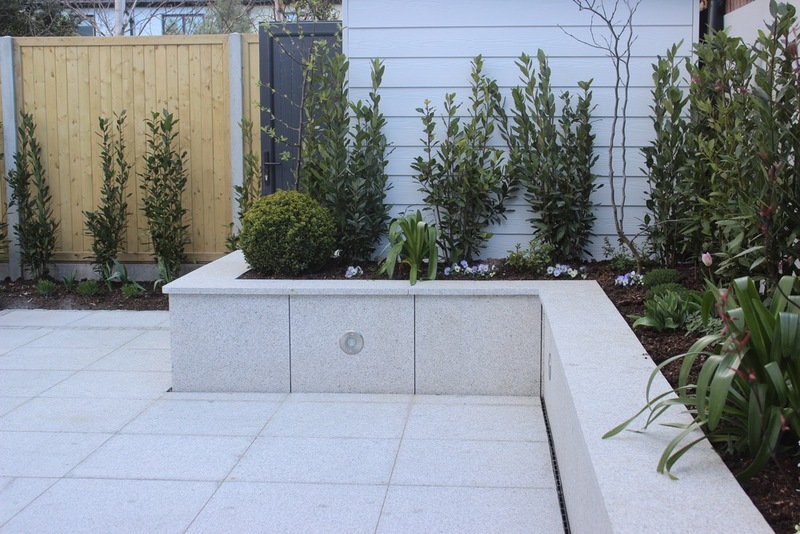 Raised beds also in Granite doubled as boundary seating for continuity. 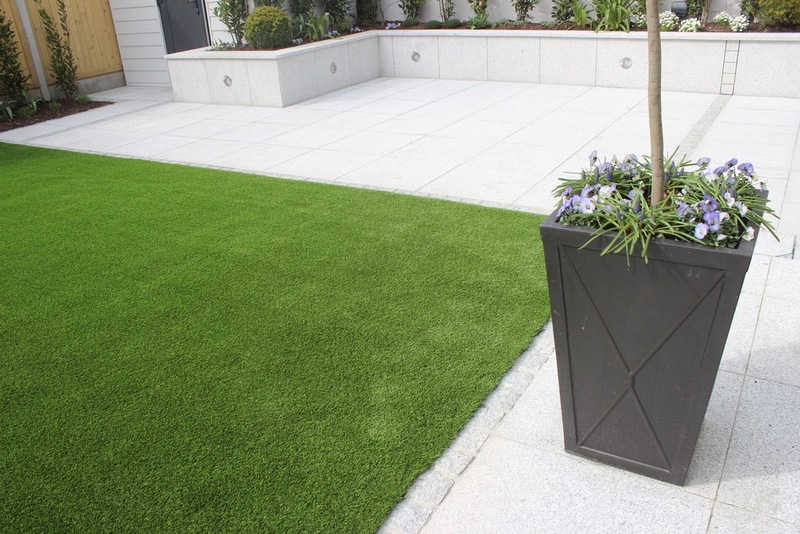 A large central TigerTurf synthetic lawn gave balance and evergreen focal point to design. A new boundary fence was installed with timber drop in panels. 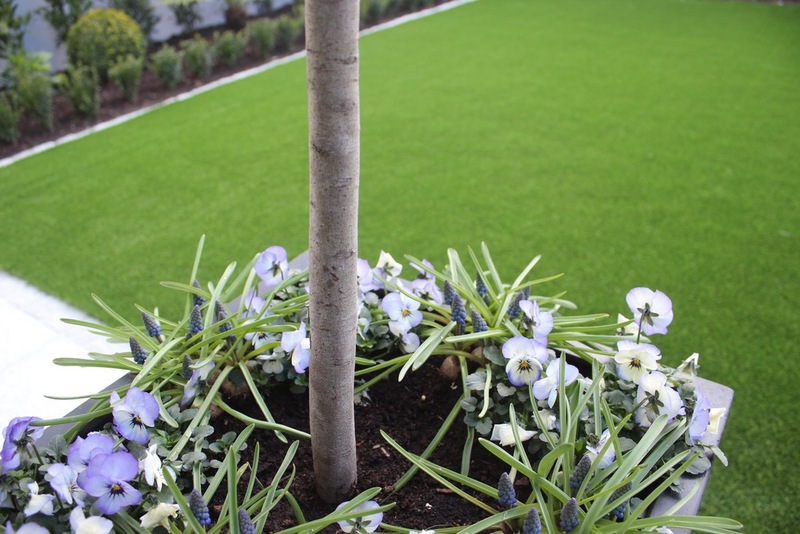 The fence was installed between concrete H-post fencing to created a strong boundary to garden in place of the old fence. 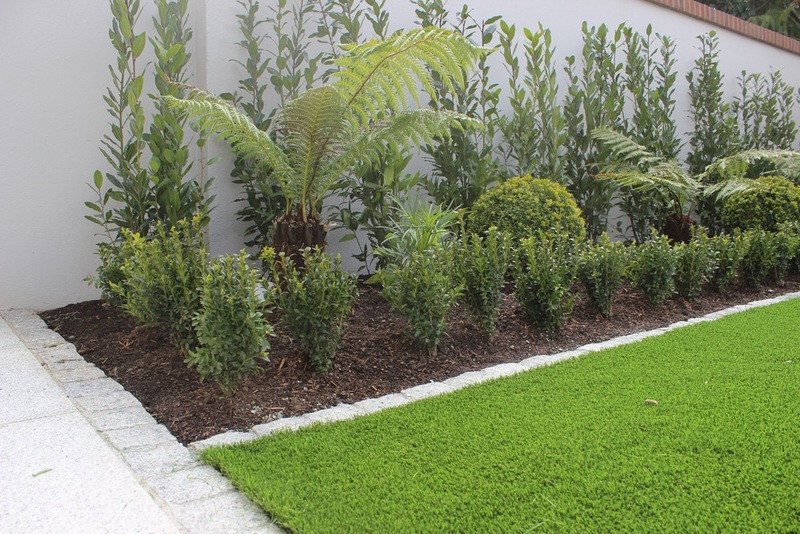 Structured Planting was made up of Antartica Dicksonia Fern Trees, Buxus spheres and Bay hedging. 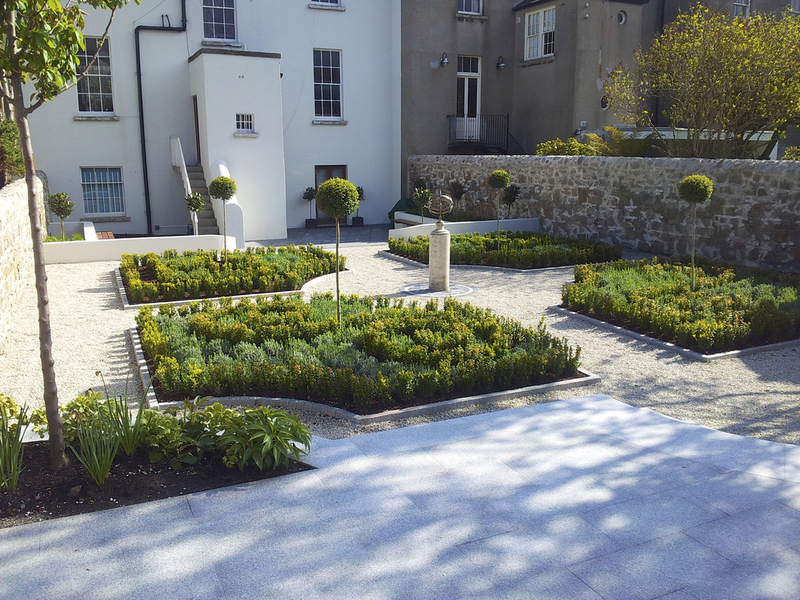 Low Buxus 'box' hedging to the front of beds define the perimeter infilled with Hostas and aghaphantus. 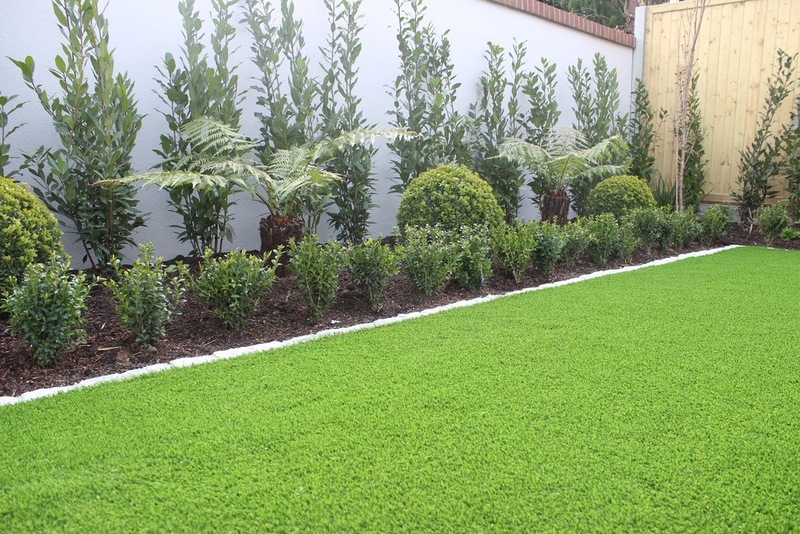 Buxus Sempervirens 'spheres' compliment lawn and paving areas. 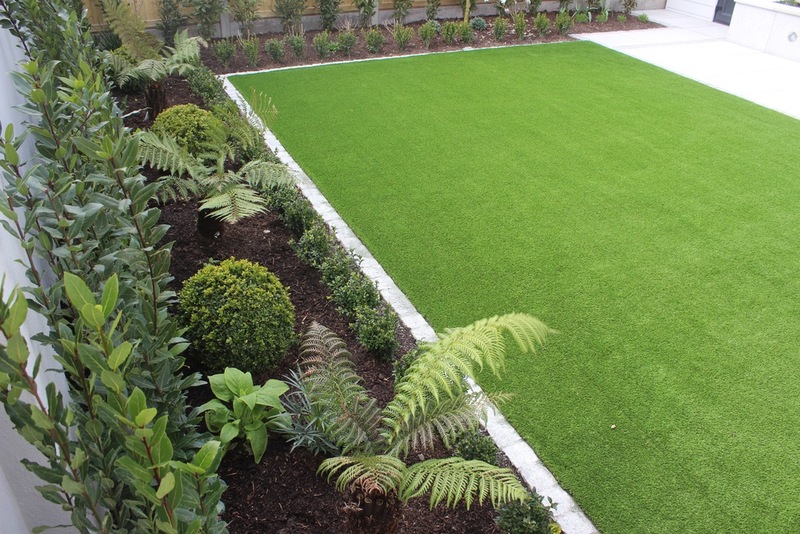 pockets of hostas and grasses soften edges of gardens boundary.